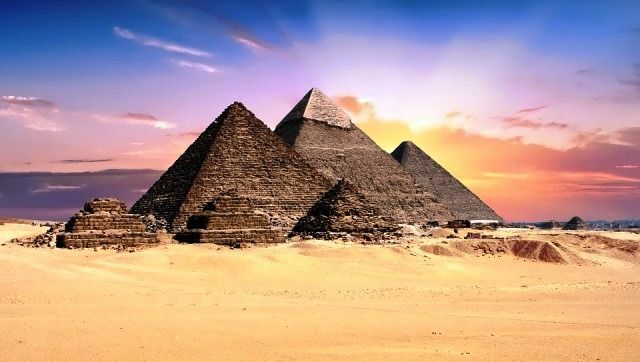 26 Interesting Facts About The Pyramids of Giza | OhFact! Located on the west bank of the Nile River, the Pyramids were among the seven wonders of the Ancient World. 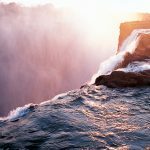 Even if, they are not on the list of new seven wonders, but they still catch the attention of millions of tourists each year. 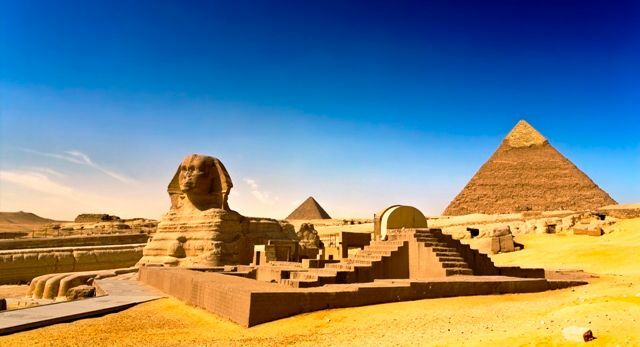 Having been constructed around the early dynastic period, the pyramids are still intact and able to take you back in History through one visit. Aimed to house the tombs of deceased Pharaohs, the great Pyramids were the places where the Pharaohs began their new Journey afterlife. 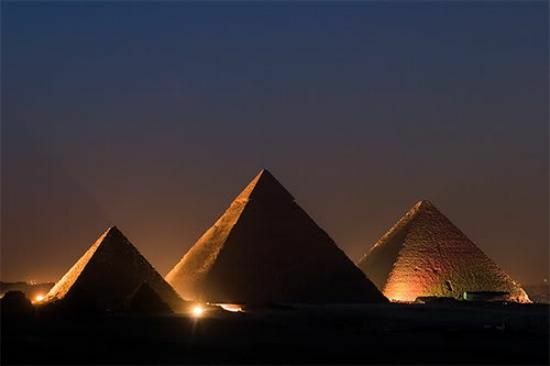 To know more, let us read some more amazing and interesting facts about one of the Ancient Wonders, the Pyramids of Giza. 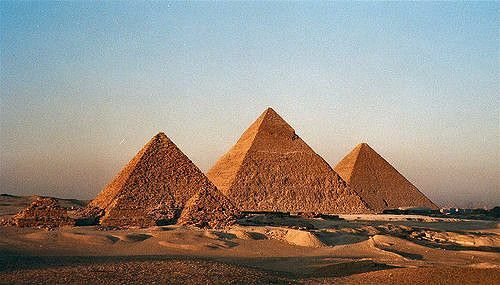 The Great Pyramids of Giza are the oldest of all wonders of the World. 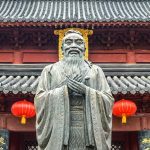 The construction dates back to 2500 BC when the first dynasties or kingdoms originated in the World. 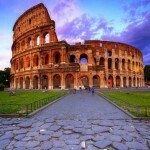 The period of the ancient world lasted from the third millennium BC to the third century BC. During that period, the Great Pyramid of Giza was among the old seven wonders of the world. It took around 20 years to be completed. The pyramids house the tomb of the Egyptian Pharaohs who rule over the Egyptian Kingdoms. However, tombs of the Egyptian kings were constructed underground for many years before the Pharaoh Djoser built a step pyramid in Saqqara. The great pyramids were made up of limestones. 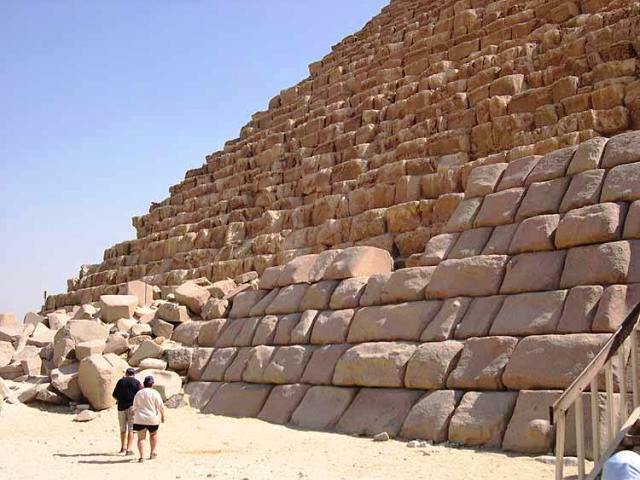 They were built with about 2.3 million stone blocks and it is thought that they weigh about 5.9 million tonnes. According to archaeologists, it was the tallest man-made structure in the world for about 3, 800 years. The Giza pyramid complex comprises three great pyramids; Khufu/Cheops, Khafre/ Chephren, Menkaure/Mykerinos, the Great Sphinx, many cemeteries, a worker’s village, and an industrial complex. The Great Pyramid of Giza or Pyramid of Khufu or Cheops is the largest of all three pyramids. It’s ancient name was Khufu’s Horizon. It is said that the pyramid of Khufu was constructed by Egyptian Pharaoh Khufu. The Pyramid of Khafre is the second largest pyramid in the complex. 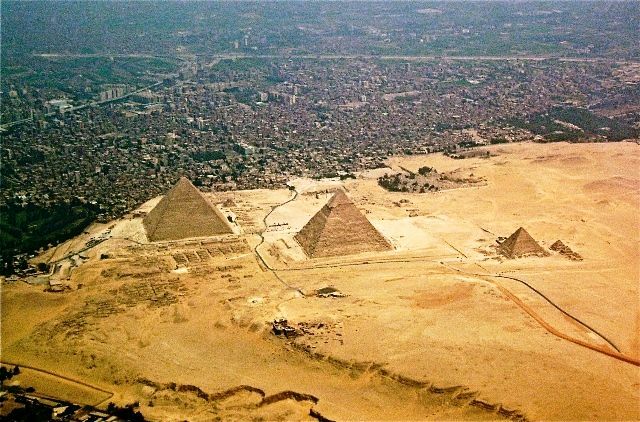 The Giza West Field is located to the west of Khufu Pyramid on the Giza Plateau and the Giza East Field is situated to the east of Khufu Pyramid. The Great Pyramid of Giza is shrinking. 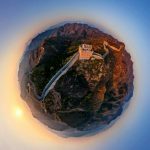 its original height was 481 feet or 146.5 meters. However, due to the erosion for thousands of years, pyramid lost some of its height and today it stands at 455 feet or 138.8 meters. The Great Pyramid Of Giza contains enough stones to build an almost 2 feet high and 1-foot thick wall around France. 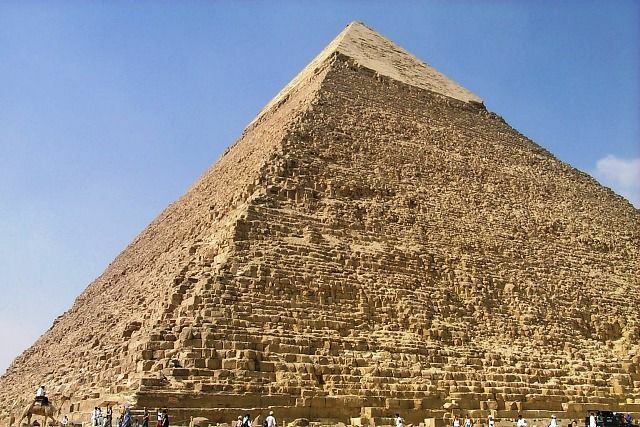 The great pyramid has more than 2 millions of stones. These stones weigh from 2 to 30 tons each and there are even some blocks that weigh over 50 tons. These pyramids were constructed to tomb the pharaohs of Egypt who reigned over the Kingdom of Egypt. In ancient Egypt, it was believed that there was a new life after death. So, all the important goods and treasure used to be put with the corpse in the tomb. The base of the great pyramids is a perfect square. Each side of square is about 756 feet and the base covers an area of 13 acres of land that can accommodate nearly 10 football/Soccer fields. 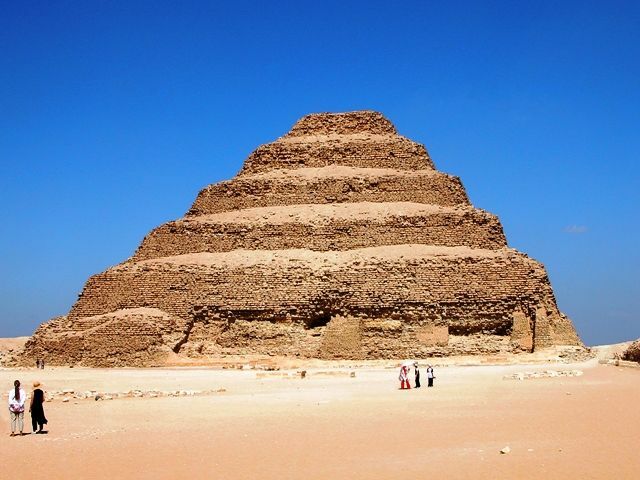 In order to reach the top or summit of the pyramid, it will take 203 steps to reach the top. 14. How They Made It? It is hard to imagine how Egyptians made such a huge structure without facilities. 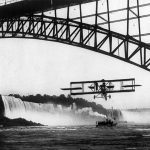 They had no modern machinery; no cranes, no lorries, no electric saws, no electricity at all. They didn’t even have the iron for their chisels – just copper, which is a very soft metal. They did not even have wheels! Historians and Archaeologists believe that more than 20,000 skilled workers including stone masons, architects, engineers, surveyors, builders, and other craftsmen constructed the great pyramid of Khufu. Near all pyramids, the great sphinx lies. The great sphinx is a statue of Lion with the human head. It is commonly referred to as the Sphinx of Giza or just the Sphinx. The Sphinx is a mythical creature in Egyptian mythology. It had a lion’s body with the human head. 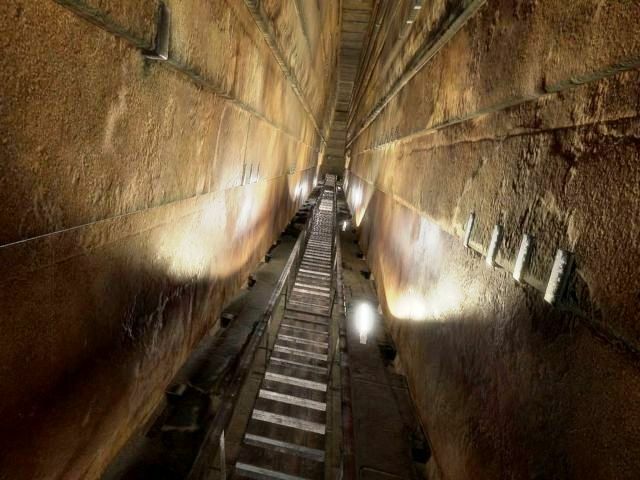 There are several tunnels and rooms inside the great pyramid. Apart from it, it has the Queen’s Chamber, the King’s Chamber, the grand gallery, the air shaft, etc. 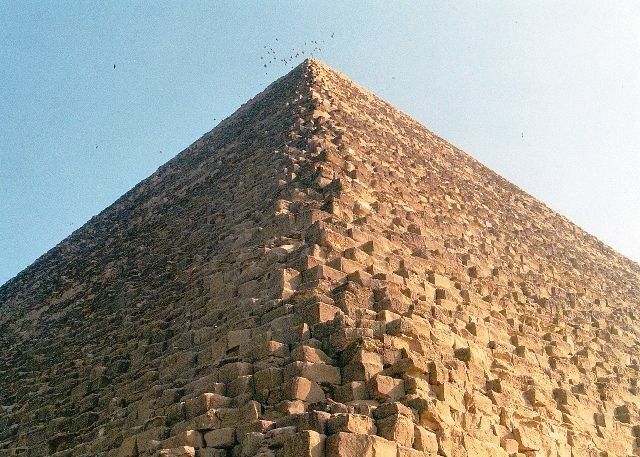 The Great Pyramid of Giza is the only one which has been built with concave sides. This means that all four side curve in slightly. 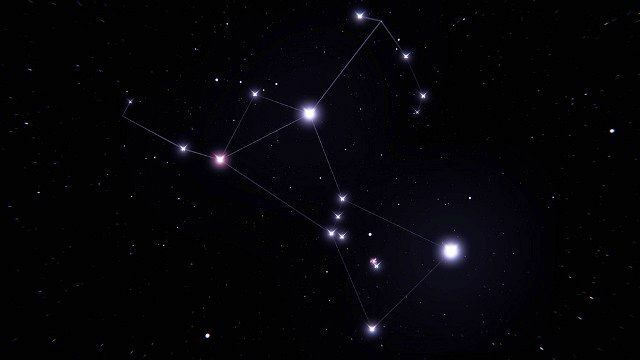 The Great Pyramid of Khufu, The Pyramid of Menkaure, the Pyramid of Khafre are precisely aligned with the constellation of Orion. 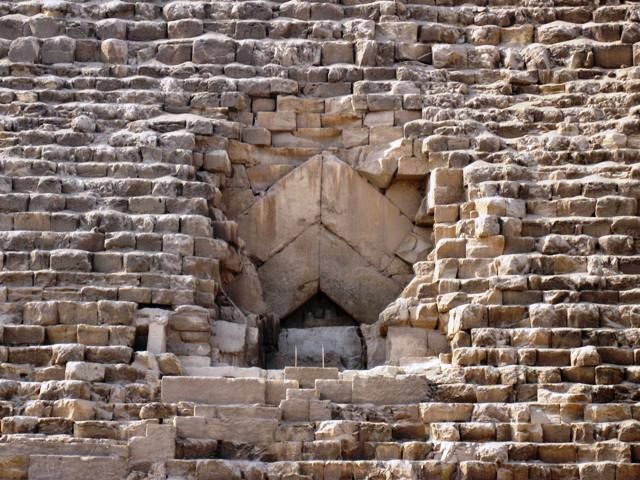 The Great Pyramid is the only pyramid to have three swivel doors. Although the door weighed around 20 tons, it was easily opened from the inside with just one hand. 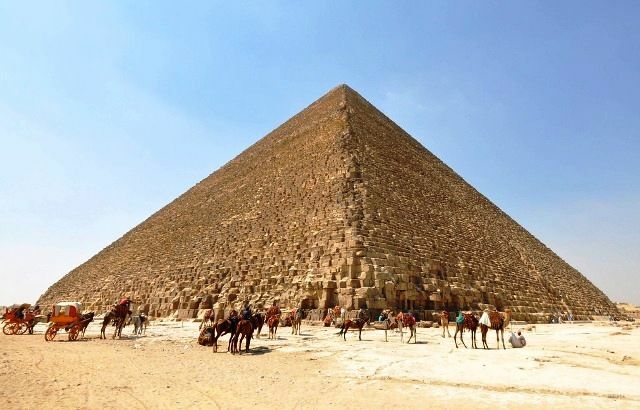 In 820 AD, the Arab forces first ented the Pyramid. The only thing found in the pyramid was an empty granite box in the King’s chamber. It was also damaged by Arabs and some stones were also theft for building mosques. 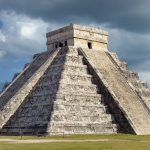 There is no record found about the Pyramid. No drawing, no artefact, no inventory, no picture has been found about it. The Great Pyramid sits at the top of the geographical center of Earth which is situated in Egypt. 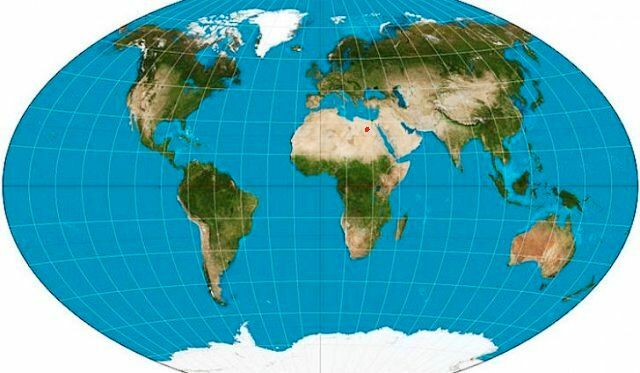 The Geographical center is the superficial barycenter of the mass distribution. 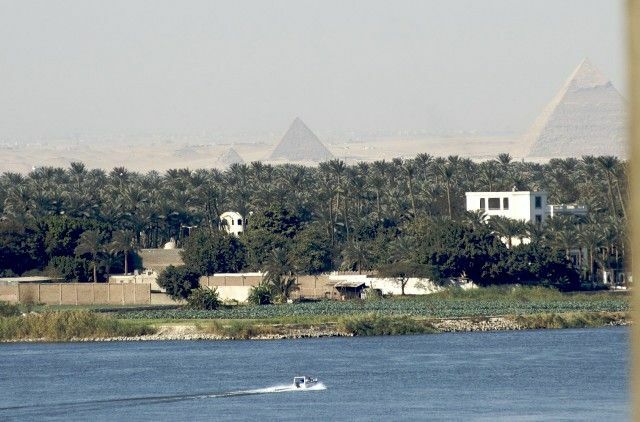 The pyramid complex is situated near the west bank of the world’s longest river, Nile. In 1979, the whole complex became the UNESCO World Heritage Site. 12 Fascinating Facts About Eiffel Tower Which Will Surprise You!